I am ashamed to admit that the first reason has been in a purely selfish bid to try and amend a lifetime of wrong choices, missed opportunities and let’s just be honest and say wasted potential! In my chaotic mind of self-aggrandisement, I would also like to become immensely famous and rich and give most of my money to animal and children’s welfare charities! The second reason and obviously most important is not only to apologise for past and on-going mistakes but to try and impart some knowledge and help to those of you who are new to the disease or indeed hardened sufferers/survivors. I hope nothing more than to complete a project, to actually see a finished result and possibly pat myself on the back for a job well done. It has been a long time since I have felt any sense of achievement. 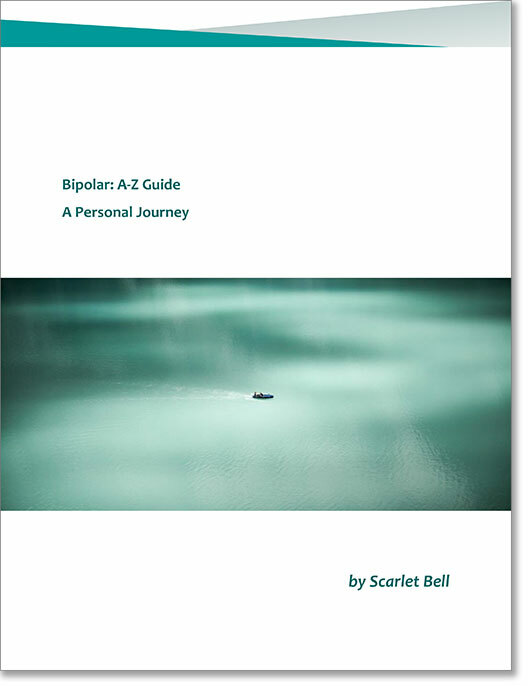 'A2Z BiPolar - A Personal Journey' — The Book — is out now ! Order your copy here. Beautifully written, funny, sensible, touching, very easy to read and understand. You should be very proud of your achievement. 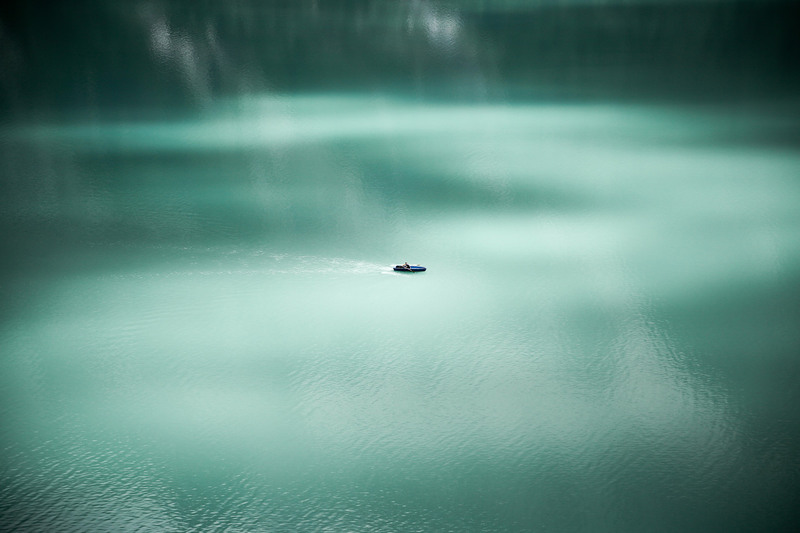 From the perspective of both a friend and relative looking for support on the subject your guide has helped me to understand better some of the challenges a bi-polar sufferer faces. I wish you the best of luck on your journey. Tablets and side effects - is this as good as it gets? Tablets and side effects – is this as good as it gets? Under this section I do not want to give a detailed description of all bipolar medications as firstly I am not qualified and secondly it is incredibly tedious. That said, since I have experienced most of them, you will be hearing about it ! You will have tried an array of tablets and be familiar with the names, perhaps even hit the tablet jack pot early on, but, from talking to others, I think this is unlikely. So I will talk about the tablets that I have used and their corresponding side effects and the names I will refer to are the names written on the side of my tablet box. My sister-in-law and I have a bit of a joke about hospitals in that we both like hospital food; particularly the mashed potato and somewhat processed vanilla desserts. So each time I was admitted, she would say ‘’ah, it’s because you want some more of their food’’. Actually a hospital diet consisting mainly of white bread and jam is hardly conducive to a healthy body and certainly not to an already unhealthy mind. This contradiction always surprises me that the most basic requirement of good nutrition is lacking in hospitals. However, this is an entirely separate argument and apart from feeling like death my hospital stay (the last one) was bearable. The first time was terrible. This again is a hugely personal topic which is dealt with at length in my book. You will know by now that I am very diet conscious after a lifetime struggle with weight. After successfully losing weight at 40 years old after yo-yoing for twenty-five years, I am a little obsessed and scared about weight gain. The pills in the clinic made me eat like a starved wolf. I was literally inhaling loaves of bread and licking nutella and honey out of those little capsules – not a good look. As soon as I popped the Seroquel, 10 minutes later the food frenzy began and no matter how hard I tried I could not control that level of hunger. Since I still take Seroquel I often ask my ex-husband to lock me in my bedroom and because I have a ridiculously weak bladder I need a container to pee during the night. I mean it is absurd. This also makes me panic in case my daughter needs me, so alternatively I stockpile the ‘’goodies’’ and ask my ex-husband to hide them. I agree that I should not have biscuits and chocolate in the house, also out of responsibility for my daughter’s diet, but I do. I can easily use willpower when I am watching my weight but chemically induced hunger is a different kettle of fish. Plus the binge is not even satisfying. It’s like you would need your stomach to rupture before you feel full. Hideous. Of course in most cases alcohol or drug use goes with bipolar. The problem is that they share the same symptoms of depression, anxiety (and I would say I had the latter to a degree, especially after drinking) and mania. It’s all a bit chicken and egg of course as clearly long-term alcohol abuse affects mood and behaviour. I was always extremely manic on drinking, more so than others and I recall a sense of desperation before a drinking spree, a definite need to escape beyond what would have been anticipation of a normal drinking session. For example when I got annihilated at most weddings (one in particular was not my finest hour) I was intensely manic beforehand, as I remember a friend giving me some rescue remedy drops and lavender oil to try and calm me down. This coupled with awful social anxiety made me lunge for the champagne. I was always nervous before all gatherings and still am to this day, hence why I avoid most of them. Social anxiety figures largely in my bi-polar spectrum and will be discussed. Apparently women with bipolar are 6 times more likely to drink than those without. Thankfully after carefully looking at the definitions of alcoholism I and some family members fit the alcohol abuser profile but we are not alcoholics. While I abused alcohol dreadfully and cannot drink in moderation (join the rest of the binge drinking population) I never had a physical dependence or in my case needed it to function. In fact the very opposite, I could not function when drinking. Most alcoholics can work/function for a considerable amount of time before tipping point. Also if anything my tolerance/resistance levels became lower not higher and I was getting drunk very quickly. This is binge drinking pure and simple in order to collapse. Alcoholics over time have to increase their consumption for the desired effect and they have very physical signs such as shaking and craving which I never experienced. I have discussed this at length with my shrink (you will notice how desperate I am to avoid being labelled an alcoholic, I seem to find this much harder to accept as it denotes weakness on my part and does not exonerate me from my awful behaviour) and looked through my notes. She explained that alcohol drug use usually co-occurs with bipolar but that it is not the sole cause. This is why both complaints of alcoholism and bipolar have to be treated separately which makes it very difficult since they display the same symptoms. I started to see her in 2008 with a chronic alcohol problem and of course was also having mood swings. Right at the start she had me pinned as bipolar but would only give a diagnosis 20 months later once the alcoholism had been treated. Even gutter alcoholics return to normal brain function once they have given up alcohol for a prolonged period of time and this was why I was so distressed at my AA meetings because I saw people bouncing back miraculously and feeling good after as little as 1-3 months. I was still manic after 18 months and was so so ill one afternoon at a fair with my daughter that my only course of action was to throw some beer down my throat. It worked. That is when she gave the bipolar diagnosis with alcohol abuse as a means of self-medicating. I know with my hand on my heart that I have had this disease all of my life. My thought processes even from a young age were very different from those of my peers as were my actions. To be honest since I have researched and looked very closely again to see earlier signs (pre drinking) I am very relieved to know that alcohol abuse on its own did not cause the bipolar. It certainly did not help and must have made it worse. However, I am still depressed/manic after almost 7 years without alcohol (with a few relapses unfortunately). This is not normal. Only mood stabilisers have helped control it. Finally she said that some people just have it, like some people have diabetes. It is every inch a physical disease as much as a mental illness. This website is intended for reference only. It is not a substitute for any medical advice you receive from your medical professionals. You should not alter your medication in any way, or the dose of any of your medication without first consulting your doctor. Mention of products, companies and organisations and the use of images does not imply endorsement of the publishers or imply that these endorse this website. All addresses, websites and telephone numbers on this website were correct at the time of going live.